Of Commercial Financing And Investing! "Anyone can talk a commercial deal. But doing them is a completely different thing , it requires more than the gift of gab. It's not the talk that matters, it 's the walk ,it's the results that matter." 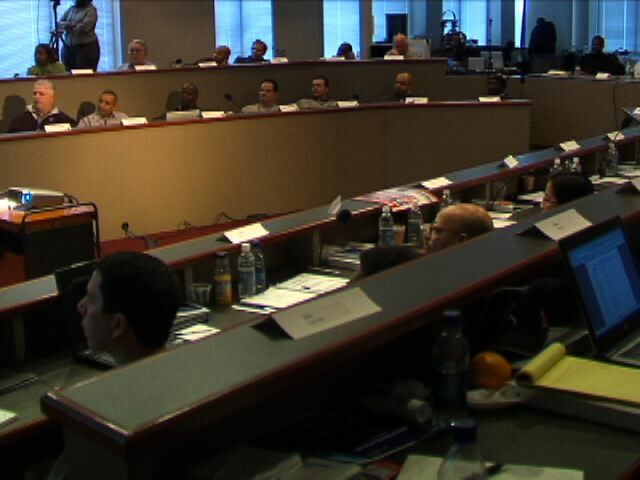 I've spent in excess of $15,00.00 attending what was promoted as a Commercial Real Estate Seminars only to discover that these were courses advocating investing in "Distress Commercial Properties". In the real world, securing financing for "Distress Properties is more difficult that securing financing for Distress Residential Properties. The fact is, it ain't easy if it can be done at all. I don't advocate investing in any distress properties because even though I've done it and made money doing it in the pass. There are better options. When I purchased distress properties, I always find myself in a distress situation. Distress Investing Creates a Distress Mind Set. The Key To Successful Real Estate Investing Is the Right FINANCING. Any one that tells you differently simply hasn't done it. Finding Real Estate for Sale is very easy to do. Securing the financing to purchase the real estate is a completely different thing. I've secured financing for over $500,000 million dollars worth of real estate in the past 3 years. If you include my students successes, those numbers will be well into the Billions of dollars. And we have the commercial financing game down to a science where it is a now part time home based business. "There are dozens of inside tips, tricks ,and techniques revealed throughout this workshop. Some of which have earned me hundreds and thousands of dollars in fees and profits alone.... And some of these I learned over 20 years ago ...that still works. Many are solid and sound and will work even in this global credit crunch market. To be successful in the commercial financing business, you need, a floor plan, a blue print, a road map and a complete system to follow. Otherwise, failure is guaranteed ! I really don't like to blow by horn, but I have placed over $300 Million in commercial loans in 2007 and $800 Million in 2008. I've made virtually every mistake that can be made over the last 22 years. I went to 2 closing and didn't get paid. Failing in the commercial financing and investing business is very easy to do ! What I shared during this workshop about commercial financing alone will be worth your investment in this program. Not to mention what you will learn about acquisition financing for your own projects ..
You may learn how to make your non-do-able deals 100% doable... You might learn how to get your personal projects financed without a lot of pain and agony... OR you might get a complete new concept for a new business model...OR you may get a whole new business idea that turns into hundreds of thousands of dollars and most importantly, you'll have a complete business system you can use anyway you want any time you want to. And lastly, you'll discover that selling large sums of money as a business is easy to do even during a global credit crisis. The demand for money never decreases. The cost and availability simply changes. I believe you will be INSPIRED AND EMPOWERED by these videos. *** Only 80 were permitted to attend and they came from as far away as Hawaii. They paid from $800.00 to $3,500.00 to attend. This workshop cannot be repeated due to the unique and interactive manner the content was presented. 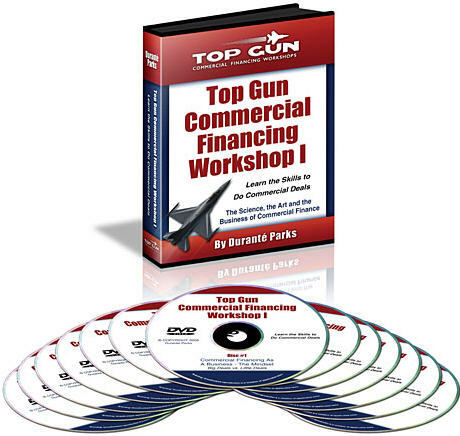 If you missed it, you missed the rarest-of rare opportunity to hear from someone who has really made a small fortune in the commercial financing business and has assisted others in doing the same. If You Missed Both Of Our Workshops, then here is an opportunity to recover from that loss. Quit chasing your dreams and start living them! Give yourself a real chance! Here's your opportunity to get quality training and personal coaching as part of your purchase. We've never offered any of our product or services at such a discount. Everyone has at least one commercial deal in them. Let me help you to give birth to your first deal. I've helped others to do it and I can help you also. Some opportunities only come by once in a lifetime. This is one of those opportunities. If you miss this opportunity, it's gone also! This group generated over $800 Million in commercial loans during the 90 day period by implementing just 1 of 3 systems. This has been done 3 Times In The Past 2 Years and each time it works better and better. What contributed to this level of success? The implementation of a proven system, specific goals, specific start dates and a mentoring and coaching system. It takes all of these "pieces" to generate this kind of success. Collectively, these pieces comprise of a complete system. And this was just one of the systems I've we used during this 90 Day program. I have perfected every step of the commercial financing processes into simple systems. I have developed, a Lender Selection system, A marketing and prospecting system for locating principals only, a Project and Client qualifying system, a Broker Network residual Income System and a complete online virtual money store system. I use simple system in extraordinary ways to achieve amazing results. I'll be direct and to the point, with no warm-up and small talk. This is the most massive package I've ever offered! During my career as a commercial financier and investor, I've financed well over a Billion Dollars in commercial transactions. If you add the money made by my "students" who have implemented and followed my instructions, it's well over 8 billion dollars in transactions and tens of millions in fees. I've done technology financing, equipment leasing financing, property portfolio financing, venture capital financing , Resort development financing, commercial paper factoring, new construction financing, rehab financing, hotel financing,2 syndications, and numerous deals working with private banks. I've also developed, presented, and implemented my own financing programs and sold them to a private bank. My point here is, there isn't much that I haven't done in the past 20 plus years. IF YOU CAN NAME A SCENARIO CONCERNING COMMERCIAL FINANCING, I'VE DEALTH WITH IT. MY TRACK RECORD IN THIS SPECIALIZED NICHE IS VIRTUALLY UNMATCHED. I poured my heart and soul into this special workshop which was offered only to small group of 80 people from a very special list I had created. I conducted this workshop initially to create an Inner Circle of new participants to duplicate my system as I prepare and , move into a new phase of my life. I wanted the attendees to have the best information and a simple plan and system to execute for fast results. If I never place another commercial loan for the next 5 years that will be fine. And since there is no way I can do all the loans that are out there to be done, I decided to share my systems and secrets during this 3 Day workshop. These DVDS are being released in limited quantities to prevent market saturation. There are less than 100 people on this planet that have seen my complete system. Here's where the really high value of this offer comes in. I have added a 60 Day coaching program to this package. This means that in addition to getting the DVDs of the Workshop, you will also receive 60 Days of group mentoring and coaching to help you to implement the system step by step. The workshop information alone wasn't enough for the attendees. The post workshop training provided you with the added edge needed for getting things done quickly rather that "trying to figure things out". This mean that in addition to your DVD,s you have access to my private members only site for 60 Day absolutely FREE. I've had to limit this offer to only 50 people. The first 50 purchasers of my DVD set will receive my group coaching absolutely FREE. Why Am I Sharing This Information ? That's a fair question ! There are several reasons I've decided to release this program . I've kept this information pretty much to myself for the past 20 years. 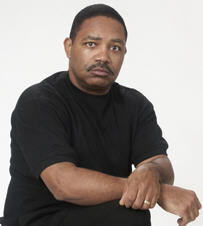 My commercial financing knowledge has provided me with a very nice lifestyle. I am now at a point in my life where I have some new interest and ambitions and will be retiring from the business for a few years. So rather than keeping this information locked away to myself, I've decided to make it available to others as a way of giving to others what has been given to me. Commercial Financing has been a real blessing to me and my family for years. Secondly, I have all my systems and relations in place with my lenders and private bankers, sharing this information doesn't create a threat to me or competition for me. There are enough deals in the market for everyone. We sell money and the demand for this service in universal and the demand never decreases... only the cost and the terms change. I have spent the past 2 year developing, testing and perfecting my system. It doesn't make any sense to but the systems in a vault where they can only be used by me. That's a very selfish act. So I am releasing the program in limited quantities to prevent market saturation. Realtors, Investors, Business Owners and Financiers can all benefit from this program. Is Any Previous Experience Required? As with anything, the more experience you have can help or hinder you. Some of my most effective students are beginners with no actual experience. This group seems to execute and implement my system very well because they don't have to consider previous training that sometimes contradict what I teach. On the other hand, some of my most experienced residential investors and realtors are slow to embrace new concepts because they have never heard of them before. The move from conforming financing to non- conforming financing can be a real challenge and actually add to their learning curve because it's difficult to unlearn things. What Makes This Training Different For Other Products? Unlike many of our competitors products, this product deals first with commercial financing as a business and then commercial real estate investing. Many of our competitors products deal only with "Real Estate Investing" and are very weak in providing viable financing options. 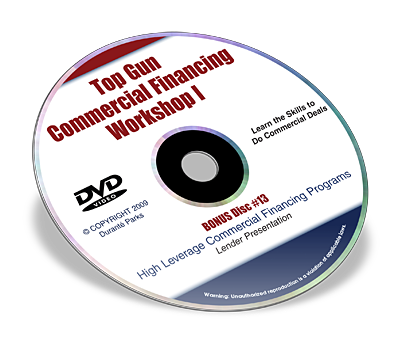 This program addresses the "financing issues" first because to "The Key To Success Commercial Investing Is FINANCING. We start with understanding financing and then integrate commercial real estate into the equation. Finding real estate is easy... Securing the financing is essential to facilitating a closing. Are you including the Mentoring programs with this package because the workshop content alone isn't enough? Absolutely Not. The fact is, there are so many different avenues and options you'll discover that it's very easy to spend months researching and learning and taking no action. Professional students are fast to research and slow to implement. The Mentoring and coaching programs keeps you doing the things you should be doing and focusing on the things you should be focusing on to get your first deal in 30-60 days. Afterwards, you can explore and experiment and research to your heart's desire. We will basically do your first commercial deal with you so you'll know exactly what to do. Your second deal you will do on your own, we'll simply review and monitor your activities to make sure your have everything covered. This is a $3,500.00 service that's included exclusively to the first 50 purchasers absolutely FREE ! WARNING: Due to the Power of the information revealed on these DVD'S we are only releasing 100 copies to prevent market saturation. Developing the proper mind set from the beginning is essential to having a strong start and a strong finish. This DVD addresses the issues of Big Deals Vs Small Deals AND Commercial Financing As A Business rather than a Hobby. DVD 8: Why Not Residential Investing ? NOTE: This Bonus Disc will not be included in all versions. It Is exclusive to our POST Production Offers ONLY! Commercial Financing has been very very good to me. I cannot imagine how else someone with my background could have created financial freedom from scratch, so early in life, had as much fun, learned so much and even had as much positive impact on the lives and fortunes of others. I sincerely would like for you to have a similar experience; to be able to use my bank of knowledge about commercial financing and investing to dramatically accelerate your achievements of what ever goals you have, Than cannot occur if you miss out on this . It is now up to you. The following items are included with this purchase! 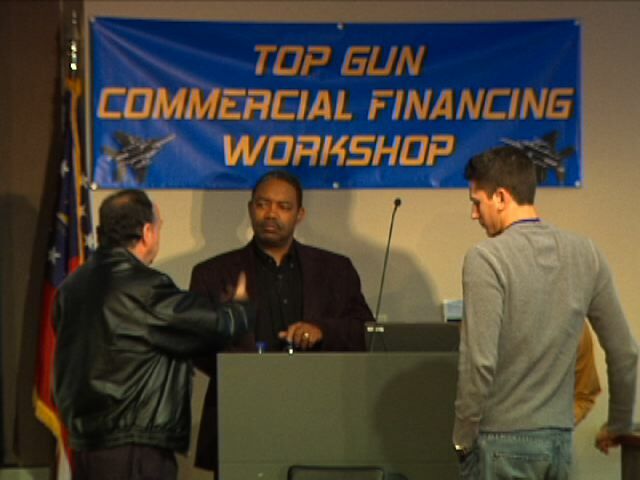 This 3 Day Workshop sold for up to $3,500.00. the access to our private Members Training Site will remain with the offer. 30 Day Guarantee :You have a full 30 days to decide. If you don't want the to keep the DVD'S set, contact customer support to receive a RMA # and simply return the product in saleable form within the first 30 Days. 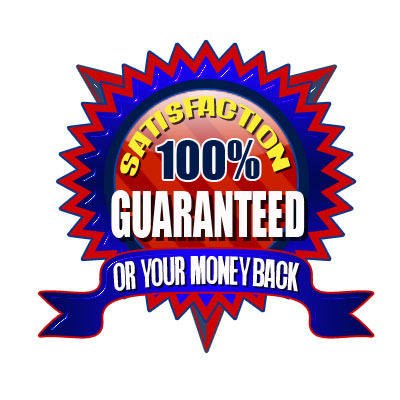 We'll issue you a full refund with no hassle and no BS upon receipt of your order. Orders Are Shipped Within 24 Hours! Includes access to our Private Training Site !